Review: Ten years in the making, with eighteen previous entries in this incredible cinematic universe that we have watched grow over the past ten years. It has been quite the fun and enjoyable ride, but this is what it has all been building towards. 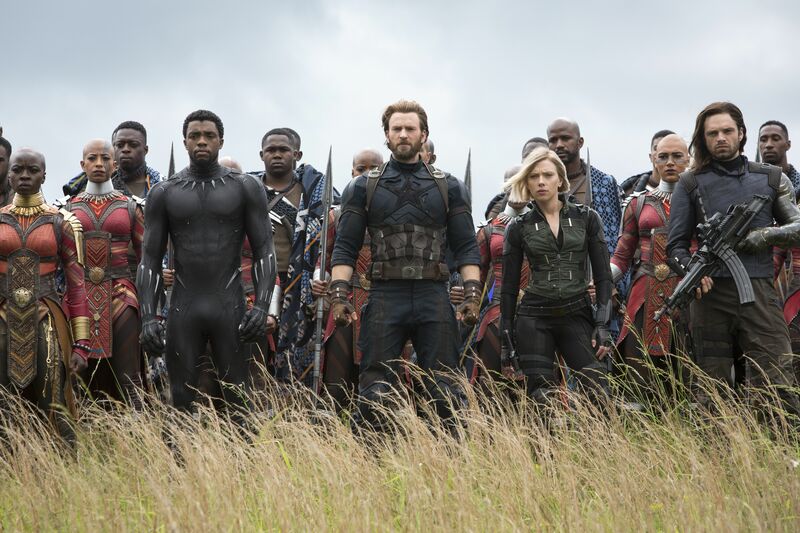 After all the work that was put in to establish this world and its characters in the previous decade of Marvel goodness, it would be fair to say the weight of expectation on this film was enormous. 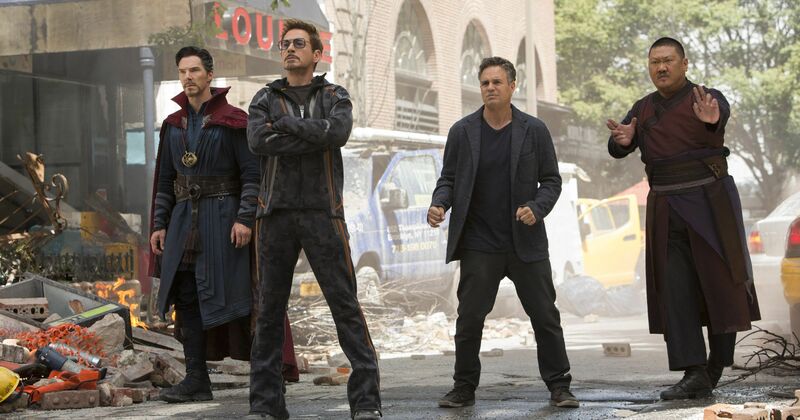 Therefore, one must give kudos to the Russo brothers, who return to the directors chairs of the MCU for the third time, and complete their hat-trick in spectacular style. 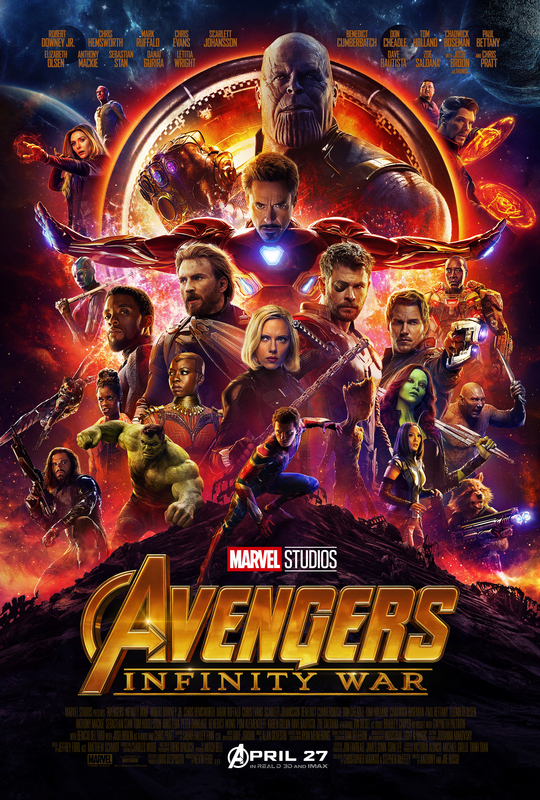 The plot, without straying into spoiler territory, focuses on the maniacal Thanos and his quest to obtain the infinity stones with the help of some underling servants known as the Black Order, to wreak unprecedented destruction on the universe, which understandably captures the attention of just about every MCU hero we have met thus far. Given the sheer number of heroes we have met thus far, there was understandable concern from certain quarters as to would they be able to balance the story with so many larger than life heroes? Well as they proved with Civil War, the Russos and returning screenwriters Christopher Markus and Stephen McFeely, do just that. Each hero that we meet is given their chance to shine and there’s no one that feels out of place. They are all relevant pieces in this battle, and as such , everyone has ample screen time in this battle that simply put, has unprecedented stakes for all of our heroes. Yet despite these threatening stakes, as Marvel so often does, the film is peppered with plenty of humorous moments. But these never negate the moments of drama or danger that these heroes find themselves up against, as you feel that no one, no matter how big or how long they have been a part of the MCU, is in very serious peril. Speaking of, it has been no secret that the MCU has had some trouble with crafting compelling villains. With a few exceptions, many of them have been very bland and forgettable. Thankfully, that is not applicable with Thanos. It is hard to humanise a villain who wants to kill at will, but he is given the crucial depth that a good villain needs to get in order to make them memorable. Furthermore, they need to be given a presence that our heroes feel, and they certainly feel Thanos’s presence alright, the much needed villain to truly break the villain curse that has plagued so many MCU movies. As they demonstrated with both of their previous MCU entries, the Russos are once again right on the top of their game when it comes to delivering the compelling action scenes that were used so effectively in their previous MCU films. There are plenty of these throw-downs scattered throughout the film, you really feel the scale of the events that are taking place within this world that we as an audience have grown with over these past ten years. It is some heavy stuff and with this latest entry, again without straying into spoiler territory, it is a film that will have a major impact on the Marvel Cinematic Universe as we have known it. With only a handful of films left in what has been the third phase of their cinematic universe, it is hard to not feel that all of this is all coming to a close. In a film like this, you need to just give the audience a complete and emotional sucker punch that leaves them reeling, and by the end of this movie, said sucker punch will have been delivered. Though there is still a second part in this story, and a few other films in Phase 3 to come, there is no escaping the fact that with this film, the Marvel Cinematic Universe has been shaken to its core. It has all been building towards this, and it brought home the goods. So many heroes could have been problematic, but it is all weaved together tremendously well, and a truly memorable villain in Thanos sets things up perfectly for Avengers 4.